For all the headlines about the Budget in the past couple of weeks, there was one policy announcement that could have a major impact on brands – the sugar tax. Campaigners such as Jamie Oliver celebrated the move, hailing it as an important step in the fight against child obesity. Soft Drinks company bosses are naturally less in favour and believe they have not been consulted adequately in the decision making process. YouGov has assessed public attitudes to the issue. 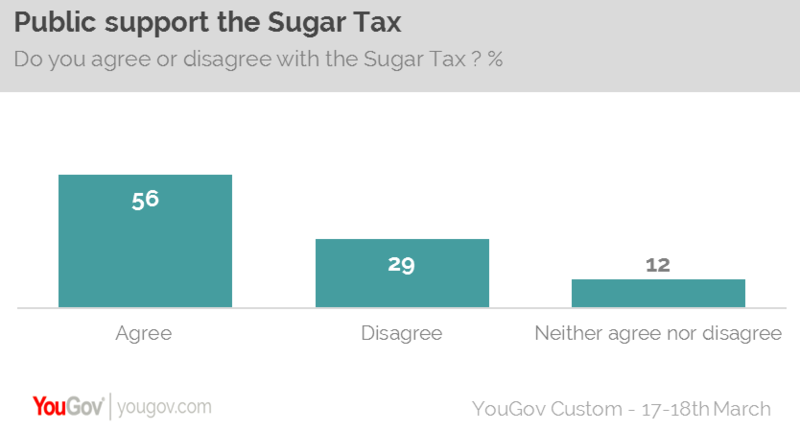 We found that over half (56%) agree with the tax, while almost three in ten (29%) disagree. What’s more there is support for the government’s intervention on the issue. Only 30% agree with the assertion that ‘it is not the government’s responsibility to take measures to limit obesity (against 48% that disagreed). However there is a degree of scepticism that the tax will not have the desired effect. Over a third (36%) believe that the proposed price increases are not high enough to have any impact. As well as the public policy issue, there is a business aspect – how the tax will impact upon fizzy drinks brands. Irn Bru maker AG Barr has announced that it is planning to substantially reduce the sugar content of its drinks. It believes that brand loyalty and strength as well as ‘product reformulation’ will minimise the financial effect on its brands. 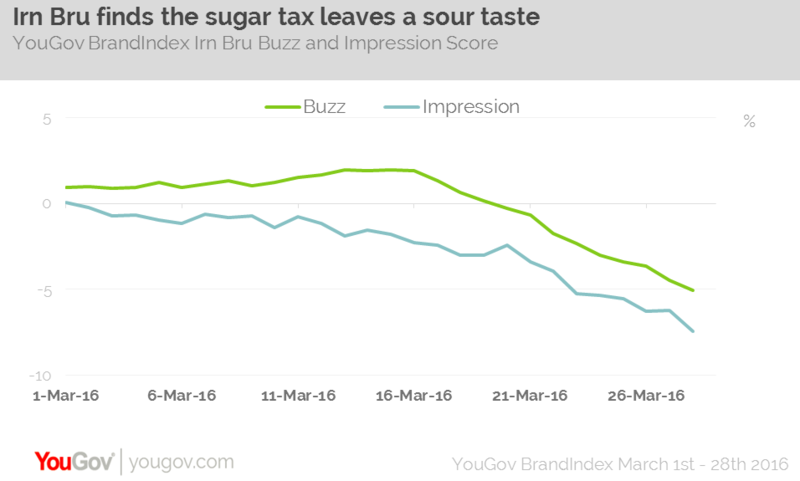 Perhaps the change of policy is no surprise given that YouGov BrandIndex data indicates how consumer perception of Irn Bru has shifted since the Budget. Its Buzz Score (whether a respondent has heard something positive or negative about a brand in the past two weeks) has declined by 7 points. Meanwhile, its Impression Score (whether a respondent has a favourable impression of the brand) has dropped by 5 points. Whether the tax does indeed change buying habits remains to be seen. The preference of consumers (by 62% against 15%) is for manufacturers to change ingredients to meet the new standard, rather than raise prices. We would expect drinks brands would much prefer to keep their customers content, than their sugar content.